Adjustable cable lockout devices with Cable Management System for a variety of applications. 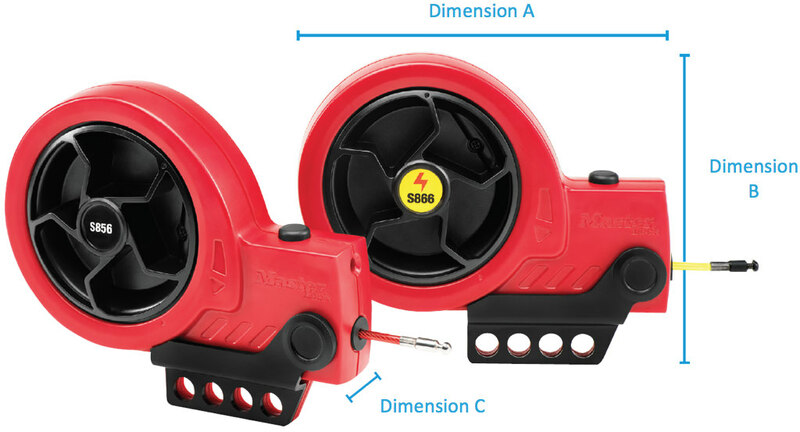 S856 - Steel core cable lockout device. Ideal for valve & other general lockout applications. S866 - Nylon core cable lockout device. Ideal for electrical applications. 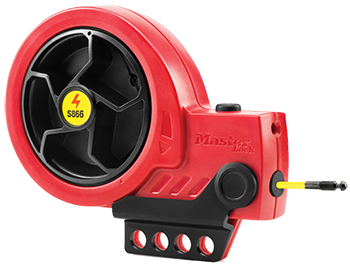 Ideal for multi-point and group lockouts, the Master Lock S856 and S866 Retractable Cable Lockout Devices make challenging lockout situations easier. 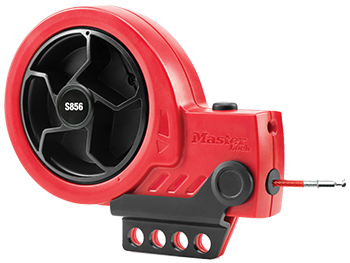 Designed with a built-in Cable Management System to help ensure a more secure lockout, the take-up reel and internal ratcheting mechanism only allow for tension to be increased on the cable - even after safety padlocks are applied. 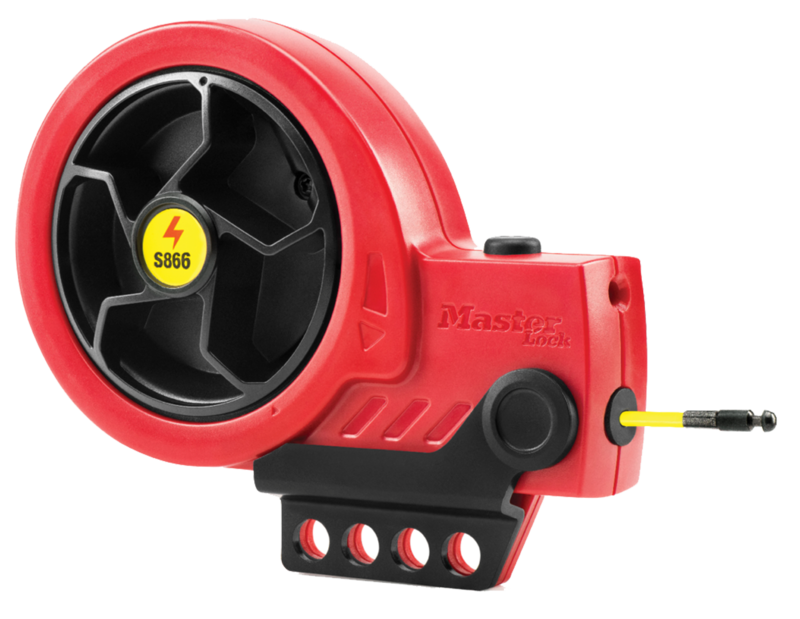 Featuring 9-foot color-coded cables for use on a variety of applications, the S856 includes a red steel core cable for valve and other general lockouts, and the S866 includes a yellow nylon core cable for electrical lockouts. 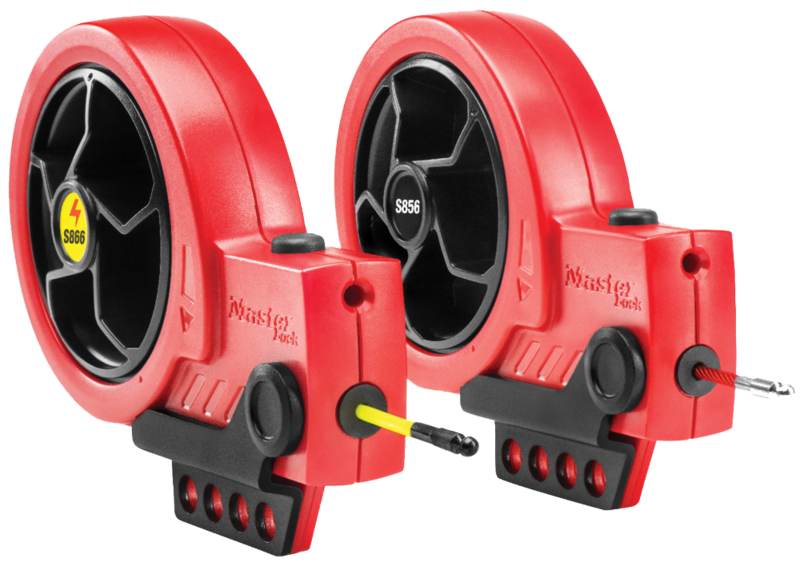 The contoured thermoplastic cable housing withstands harsh environments and allows for the stacking and transportation of multiple devices. Adjustable cable lockout devices with Cable Management System for improved ease of use, functionality and portability.